Coming to The Iron Mountain Inn Bed and Breakfast in Butler TN, you will ‘Arrive a stranger, but leave a friend’. 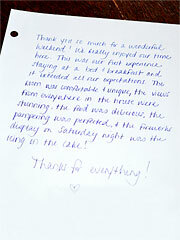 Before leaving, guests like to leave us a little note about their stay in our Guestbook. 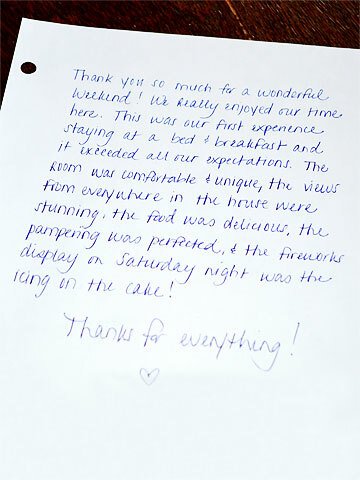 Many of those comments are listed below in the Guest Reviews. The Iron Mountain Inn Bed and Breakfast has also been featured in many Television Shows, Newspaper and Magazine Articles, and Awards. Voted #1 ‘Most Perfect Place to Stay’ by guests in Arrington’s Inn Traveler Magazine. Included in Best Recipes From American Country Inns and Bed & Breakfasts by Kitty & Lucian Maynard. Featured on Tennessee Crossroads Public Television program on Public Television – Johnson County’s Only 3 Diamond Property.